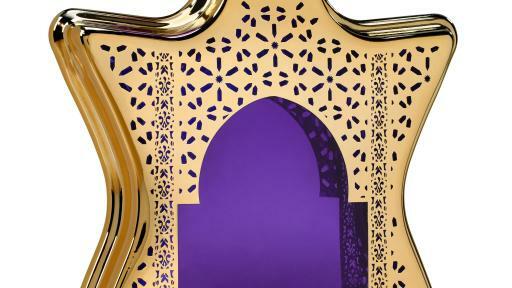 to our sultry, smash-success East-meets-West Dubai collection. After all, at Bond No. 9 more is always more. 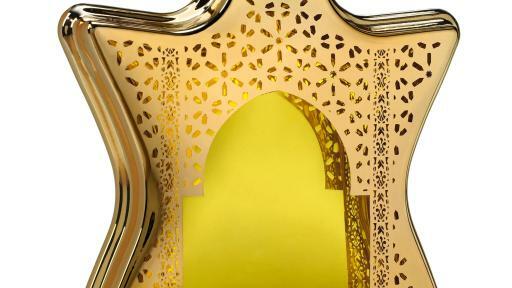 When our initial 2015 trio of Dubai-centric eaux de parfum zoomed to immediate, smashing success, what choice did we have? We unhesitatingly went ahead and devised not one but three additional Dubai scents. 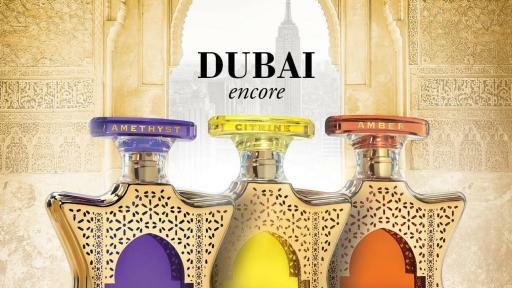 Set to debut in May— Dubai Citrine, Dubai Amber, and Dubai Amethyst continue our sensory exploration of the Gulf State emirate that itself has become a fantasy realm of excess. 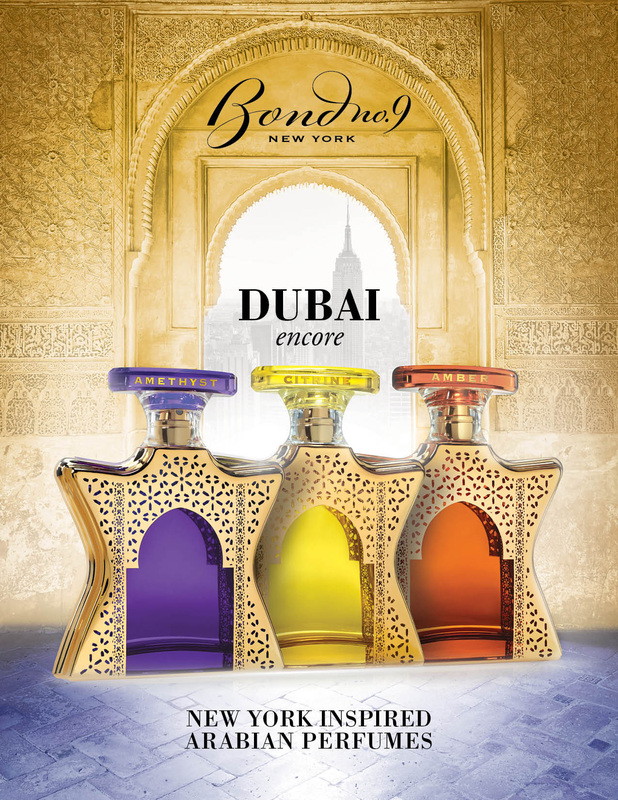 It’s that desert kingdom’s mirage-like, East-meets-West, over-the-top futurism that we captured in the three original Dubai Emerald, Dubai Ruby and Dubai Indigo scents, introduced in 2015. This year’s Encore additions, marking the start of a full-fledged collection, share the same mold-breaking aesthetic that is redefining heady, exotic perfumery and propelling it into the 21st century. 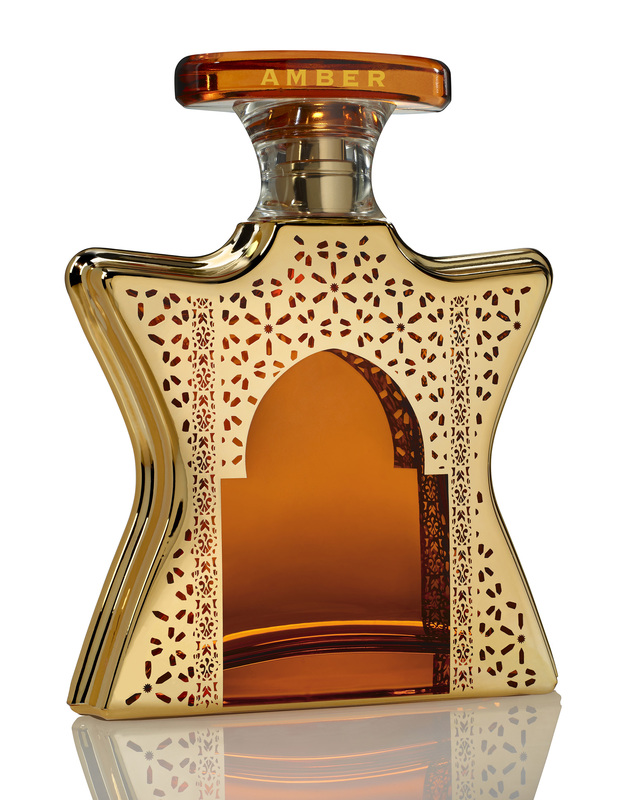 Dubai Encore scent is named for a precious gemstone, evoking the ancient belief that gems are perfumes transformed into gleaming solids. 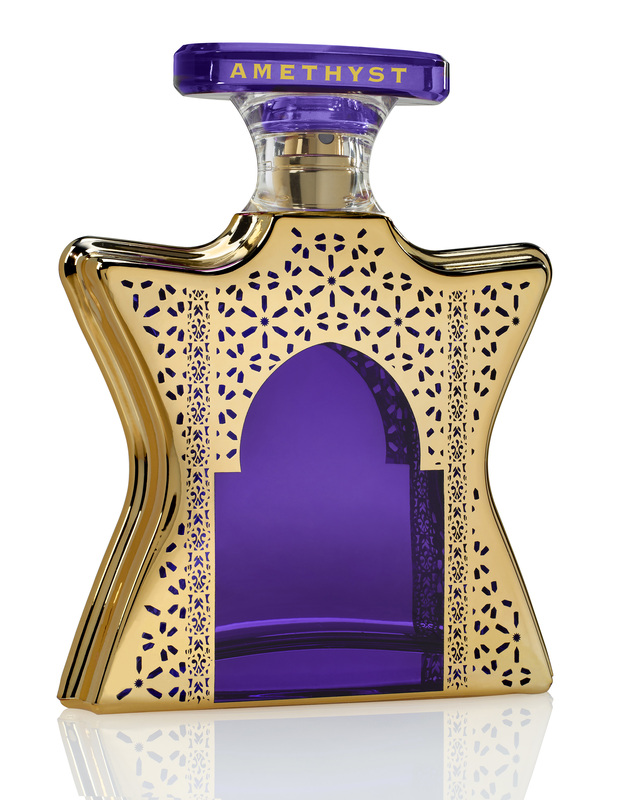 Dubai Amethyst, for starters: It’s male, it’s female, it’s both, kicking off sumptuously with a pair of lush floral topnotes—lily and rose. These lead into a heart of jasmine and vanilla-esque tonka. But then comes an interplay of unexpectedly muscular, robust base notes: animalic ambroxan, whiskey-like tobacco, and patchouli—recalling a nighttime forest. 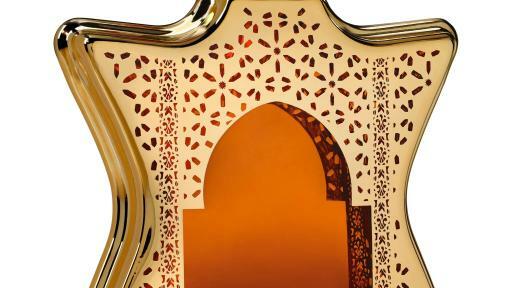 Dubai Amber, also a shared scant, starts off with fresh, spring-like bergamot, blended with dusty, darker saffron, pulse-quickening pink pepper, and tangy raspberry. These give way to contrasts: delicate Bulgarian rose mingled with intoxicating jasmine, balsamic gurjun, and smoky Native American guaiac wood. Resin-y, cognac-like amber is the predominant base note, enhanced by equally warm and embracing cedar wood and vanilla. 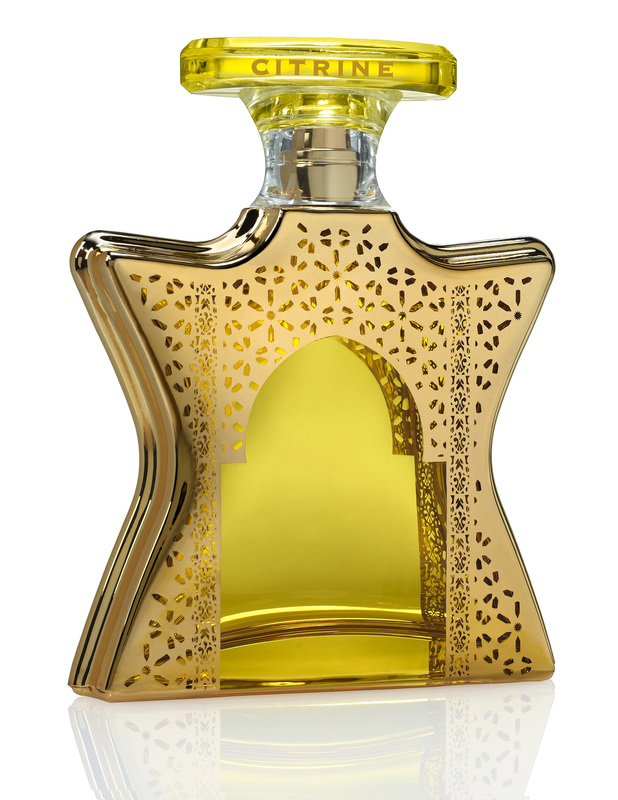 Dubai Citrine, the freshest, most feminine, and most effervescent of the three, starts off bedazzling, with citrusy bergamot, tangy red berries, fir balsam, and briny, pulse-quickening seaweed. These mellow down into a heart of lush magnolia, surrounded by lemony geranium, musky marigold, and delicate lily. Deep and rich musk and amber lead off the base notes, with compliments of warm, dry oakmoss and earthy, smoky vetiver.